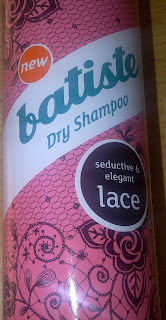 I really want to try this, I'm a massive Batiste fan! I'm obsessed with Batiste so can't wait to try this one! Mine is the Wild ,not tried this one yet will have too.I love batiste as i have turquoise hair which fades super quick with each wash can get away with washing once a week thanks to Batiste and it gives my hair much needed volume too,love the stuff !